Everyone now knows that India’s “sari-clad” ambassador to the United States Meera Shankar was pulled from an airport security line and patted down by a security agent in Mississippi after attending a conference last week. But do we know anything about the official reactions coming from the Indian Government or US authorities to this ‘unfortunate incident’? US Transportation Security Administration says diplomats are not exempt from the searches and that Shankar was screened in accordance with TSA’s security policies and procedures. But what happened to Shankar reflects the strong emotions surrounding the TSA’s pat-down procedures, and raises questions about the proper handling of diplomats as well as foreign travellers with different styles of dress. And in a latest, the media reports on the follow up to this incident are more shocking. While India’s ‘premier news agency’ Press Trust of India (PTI) reported Friday afternoon that the US had expressed regret over the incident and promised that such incidents will not occur, the world’s ‘largest international multimedia news agency’ Reuters reported that the airport pat-down of the India envoy was appropriate. Reuters — Airport pat-down of India envoy appropriate – U.S. Joined the Indian Foreign Service in July 1973. 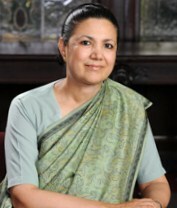 Has held several important assignments during her career: served as Director in the Prime Minister’s Office from 1985 to 1991; was posted to Washington DC and served as Minister (Commerce) from 1991 to 1995. Thereafter, headed the Indian Council of Cultural Relations in New Delhi overseeing India’s cultural diplomacy. Subsequently, in the Ministry of External Affairs, headed two important divisions dealing with the South Asian Association of Regional Cooperation (SAARC) and relations with Nepal and Bhutan. After promotion to the rank of Additional Secretary in 2002, held the responsibility for the United Nations and International Security. Last assignment was as Ambassador of India to Germany from 1st December 2005 to 6th April 2009. Arrived in Washington DC on 26 April, 2009. Married and has a daughter. Meera Shankar isn’t the only eminent Indian to fall foul of the US airport security staff. Last year, Bollywood superstar Shah Rukh Khan was given a thorough going-over at Newark airport, leading him to accuse staff of racial profiling, telling fans he too felt angry and humiliated. The latest incident has also embarrassed the university officials who had invited Meera Shankar to give a speech. “It was a wonderful programme, maybe the best we’ve had, (but) this stupid incident ruined the whole thing,” another international news agency Associated Press quoted Janos Radvanyi, chair of the university’s international studies department as saying. “She said, ‘I will never come back here’. We are sending her a letter of apology,” he said. Last year, America’s Continental Airlines apologised to former Indian president APJ Abdul Kalam for frisking him before he boarded a flight to the US, though protocol exempts former presidents and other dignitaries from such searches. Former Prime Minister of Malaysia was asked to open his shoes in 2002. Sorry for the lack of detail. Tun Ahmad Badawi was stopped at Airport during his official visit to Washington. It was the fear after September 11 that made them to react that way. I think PTI headline was inappropriate. The State Department statement did not express regret. In fact the Homeland Security Department justified it. Reuters report rightly focused on that Hillary Clinton was concerned and simply promised to look into it. No regrets. Why reporters jump to conclusions, without verifying the facts… at least in such sensitive matters that have capabilities to make or mar relations!